New roads and transport links, industrial and commercial developments, bridges and airports, railways and harbours all demand construction skills of the highest quality. Open up career opportunities across a huge range of business sectors with Traineeships in Civil Construction qualification from Major Training Group. Major Training Group is your genuine training partner and we will give you the skills for a job in this economically vital industry. We are able to provide training in Brisbane as well as other major areas of QLD. As Brisbane is a major city, we believe our training programs are some of the most accessible in the state. We also can arrange to visit your Brisbane workplace to deliver onsite training where you choose. Civil Construction from Major Training Group opens up entry-level and experienced job opportunities. Get the skills for jobs that support major infrastructure projects, laying pipes, operating large earthmoving equipment and the specialised equipment needed to build roads or step up to a role as a site manager or foreman. 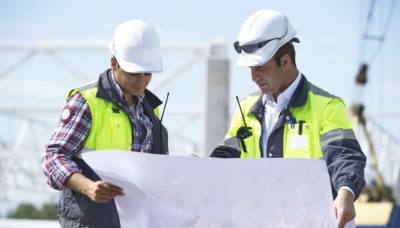 Traineeships in civil construction supervision is a great way to take your career to the next level. If you are already well versed in the construction industry, the civil construction supervision course may be the next step for you. Delivery over a 12-36 month time frame, depending on qualifications selected. Nationally recognised Qualification upon successful completion. Civil construction is the force behind public and private infrastructure projects in Australia. Major Training Group is an award winning RTO. Our exceptional quality, reliable training solutions are delivered by an enthusiastic and knowledgeable team. Broaden your construction skills and your job opportunities with one of our Building Construction Traineeships, or develop your leadership skills further with a Business and Management Traineeship. Call us today for a free consultation on the opportunities available to you or your team to upskill in Civil Construction, and to find out if you qualify for government funding support.